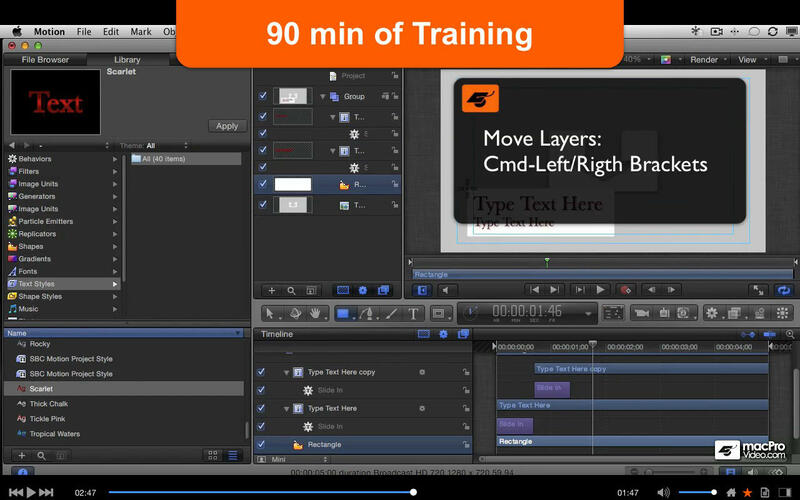 Apple Certified Motion 5 trainer Ben Balser is back with another great macProVideo tutorial. What makes this collection of videos so interesting is that they’re actually a series of Motion 5 design workshops! 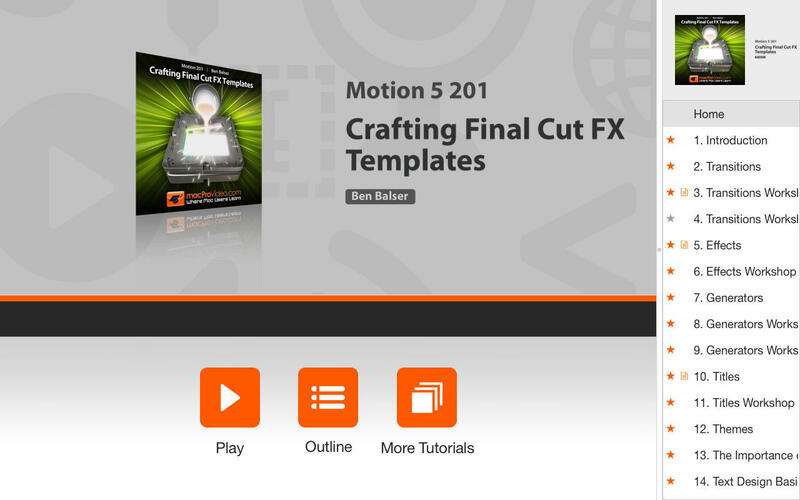 You’ll quickly learn how to create a library of original Motion templates that can be used right from within Final Cut Pro X AND, as a bonus, discover and examine the underlying concepts that power their design! 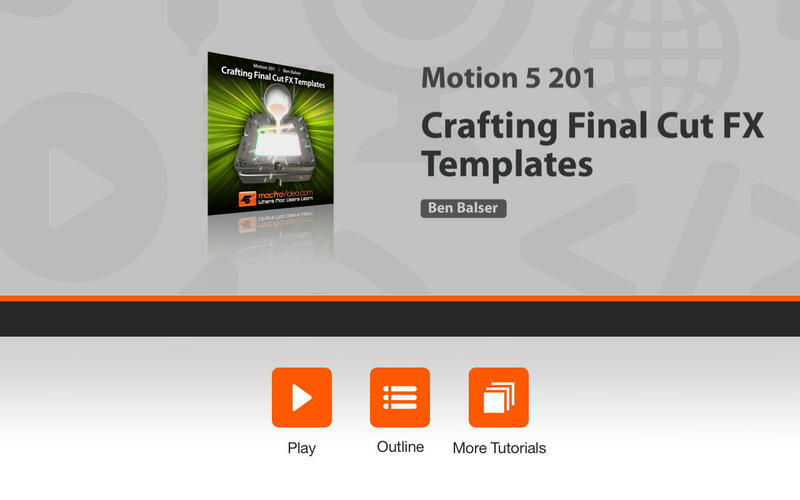 From transitions, effects, generators and replicators to titles, Ben takes you through several workshops where he explains the “how-to” in creating Motion templates. Throughout this process you’ll also learn the “why” behind designing creative FX and then see how to build and incorporate them in your FCP X projects. Next up is a series of videos focusing on design: Here you’ll discover the art behind creating text, the science that applies to color and the theory behind creating lines. You’ll then learn the how and why behind balancing your creations within the canvas.